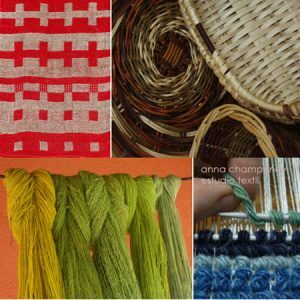 Loom-weaving and basketry are our specialities here at textiles naturales and, combined, we have over 30 years of experience. Whether you´re looking for an introductory course or more advanced options we hope there´s something of interest. Both are professional craft makers earning a living from making, not hobbyists. 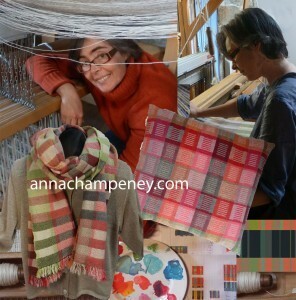 Anna Champeney complements her studio design and production work with teaching fashion students at the School of Fashion at the University of Vigo and both hand-weaves limited edition shawls and scarves. She also collaborates with a Spanish textile mill who produce other designs which are sold through interior design shops and galleries. Every year we receive comments from our pupils and we are confident in publishing the following comments as representative of our pupils´ experiences with us generally. “I´ve really enjoyed my time in Cristoende and each time I´m there it´s harder to leave! I wanted to thank you for the great time I always have when I´m there”. “We don´t try to be jack-of-all-trades. We teach what we know. But within our specialisms we offer a wide range of courses and techniques at different levels, from beginners upwards” – Anna Champeney. See our full course list for more information. Our courses are held in the studios and holiday cottage of Anna Champeney and Lluis Grau in the picturesque village of Cristosende in the Ribeira Sacra, Ourense, Galicia, España. 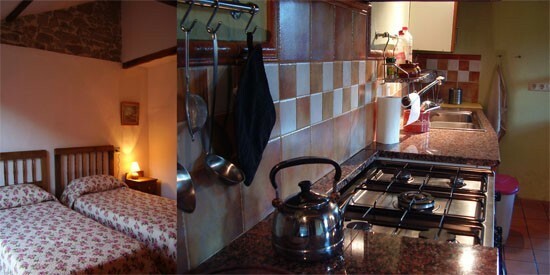 (a relatively traffic-free 2.5 hour drive from Santiago de Compostela or A Coruña airports). Not only are the studios special places to learn basketry and weave the area itself offers wonderful walks, local wine with the Ribeira Sacra denominación de origen, simply home-cooked un-fussy regional food made with local ingredients, and the wonderful spas in Ourense city with their naturally thermally heated outdoor pools to relax in. More local information and Gallery of images. 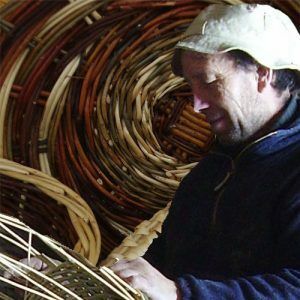 You can come with a group of friends or family – we have up to 6 places for weave and 8 for basketry. Our group courses are intensive 6 or 7 hour days but one-to-one tuition offers you flexible sessions so you can learn at your own pace and combine a course with walking or visiting sites of local interest. 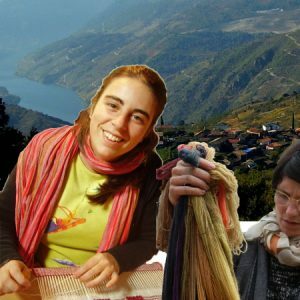 Casa dos Artesans – is where textilesnaturales offer loom-weaving courses. You can also enjoy coffee on the wooden balcony, a glass of wine on the patio in the small garden… and sleep well in one of the double rooms. Alternative accommodation is available at the Casa Grande de Cristosende (rural hotel) or Bar Quiroga (budget accommodation with restaurant/bar, 15 mins. drive) and other options exist locally in Castro Caldelas market town (20 mins. drive).